Slots Capital is an online casino which came out in 2012 as part of the Deckmedia N.V. group of casinos. As most experienced players know this is a reputable casino group with a big number of operators. The casino is powered exclusively by Rival Gaming and is promoted as a US friendly casino. This means that all players from US territory can create an account and play for real money at the casino. Slots Capital is regulated in the jurisdiction of Curacao and their games are proven to be fair and random by TST. This ensures that they are a safe and reputable online casino. The casino website is available in several world languages, including English, German, Italian, Spanish and French. Players can access the casino in instant play and download mode, but they also have a fully functional mobile platform allowing you to access all casino games on the go. When you create your account at the casino you can choose to play in USD, EUR, GBP, ZAR and AUD. For making deposits at the casino you can use American Express, Eco Payz, Master Card, Neteller, Visa, Transfer Money, Skrill and EcoCard. On the other hand for making withdrawals you can use Bank Wire Transfer, ECO Card, Neteller, Courier Check, Transfer Money and Skrill. The maximum you can withdraw within one week is limited to $4,000. 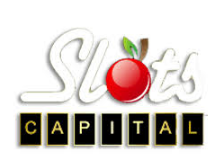 When you make a withdrawal at Slots Capital your funds will remain pending for 48 to 72 hours. Once the pending period is over you can expect to receive your winnings on e-wallets within 24 to 72 hours. Other payment methods may take anywhere from 3 to 28 days before your funds arrive on your account. The bonus promotions at Slots Capital are quite generous. 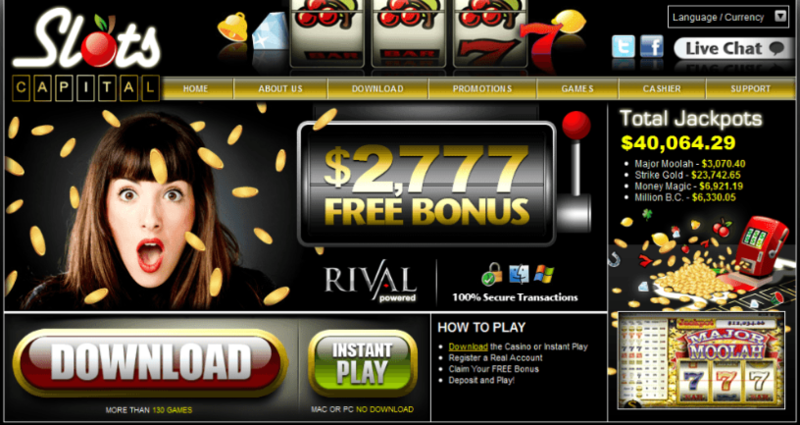 On your first deposit at the casino you can claim a 277% bonus, if you decide to make the minimum $25 deposit. This means that you will get an extra $100 to play with if you redeem the bonus code FIRST100FREE. But the casino has a lot of other bonus promos in stock. You can claim a bonus for every day of the week. Just check the promos section and choose the bonus you like. If you have any questions or run into any problems while playing at the casino you are free to contact the casino support team. They are available 24/7 and will be more than happy to help you with your query.